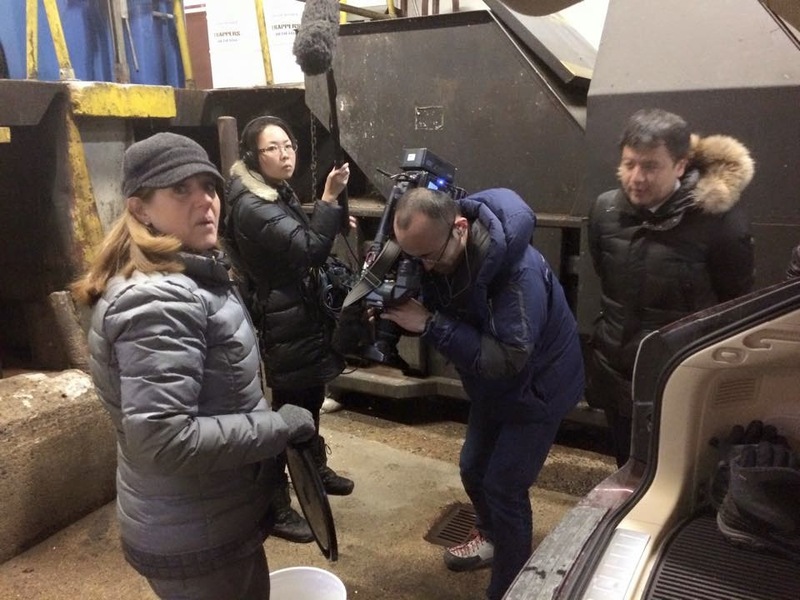 We were excited when TV Tokyo reached out to us wanting to film our shell recycling operation. They would be highlighting the benefits of oyster restoration and recycling to millions of people on a program that is the equivalent of MSNBC. It was a busy day of filming that drove home two key points. First, this is a network of dedicated people that makes this happen- it takes a community. There are a whole lot of people involved and working to improve our environment. Curt Felix showed them around the oyster propagation zone in Wellfleet. Our shell recycling coordinator Theresa Baybutt showed them various pick-up locations from around Boston. Picking up shells at a loading dock. 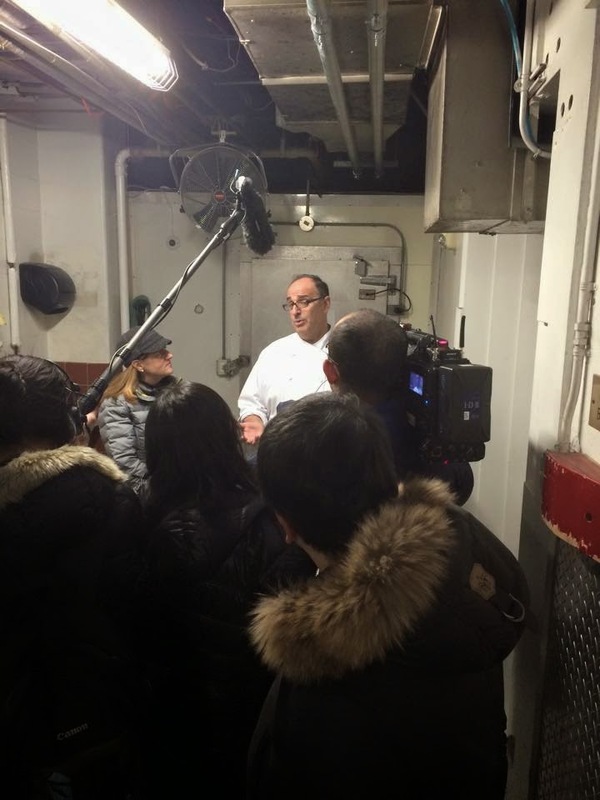 Erik Levy of Save-that-Stuff showed them around his Charlestown facility. Our main contact there- Eliana Blaine was away at the time. Save That Stuff's Eliana with Green Shell Award Recipient Mark Sapienza of the Boston Langham Hotel. 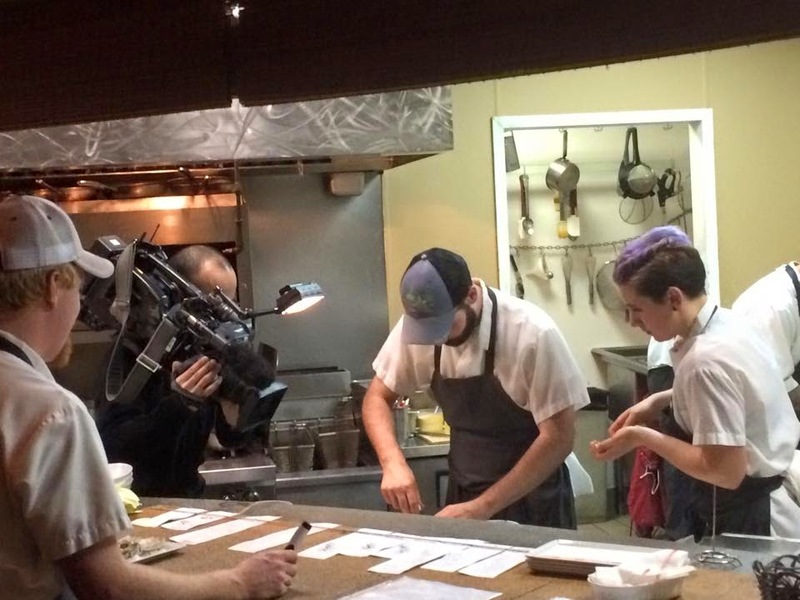 The team at Bergamot served up some delicious oysters and opened their restaurant. 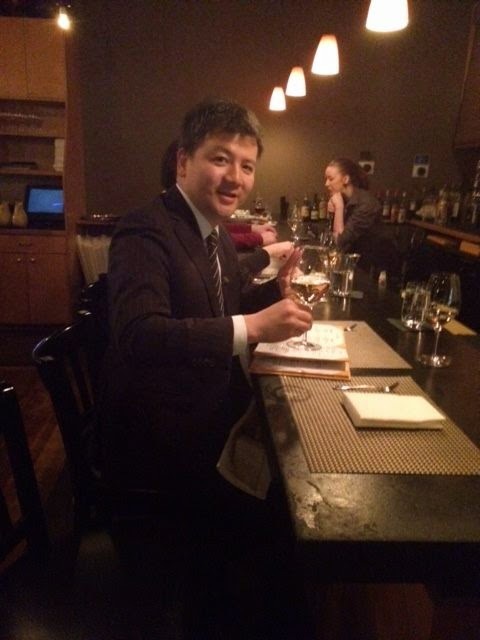 Here is a photo of the TV star dining on some choice oysters. Star of TV-Tokyo enjoying oysters. And Dale Leavitt of Roger Williams University in Bristol Rhode Island showed them around his hatchery. The second conclusion is that it is a lot of work lining up the perfect shot. Here is a link to the final program. http://www.tv-tokyo.co.jp/mv/nms/ny/post_84838/ It is a fine product and may inspire some of the millions of viewers in Japan to start a program of their own.